Welp, that ended abruptly. The version I have includes additional short stories, which I thought were part of the book, so when this story ended, I thought the second half of the book would be the others' responses to ... the events that ended this book. But nope. This is Edna's story and nobody else's. Edna Pontellier is a wife and mother in her late 20s in late-1800s New Orleans. She and her family spend a summer at a resort along the gulf, and the events there begin her awakening into being her own woman. Unfortunately, that ish doesn't fly in late-1800s New Orleans, so sadness ensues. I jokingly referred to this book as the 19th-century version of the Quarter Life Crisis. If I took myself more seriously, I'd play with the theme of Edna learning to swim as a christening/re-dedication of herself as her own woman, but I was a Radio/TV major so I'm likely making that up. 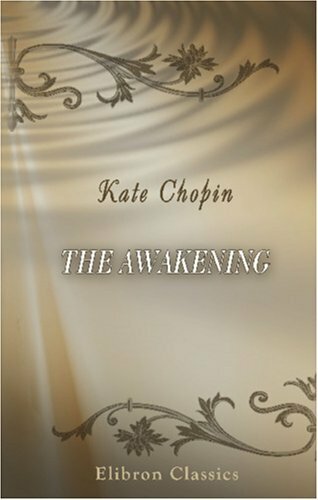 Sign into Goodreads to see if any of your friends have read The Awakening. 37.0% "This is the 19th-century version of the Quarter Life Crisis."